This classification does not really constitute a real industry, but rather those unique jobs which cannot be classified into other types. This can touch different into different sectors like food, hospitality, banking information technology and finance. This is also another one of those professions that prizes skills over academic achievement. Entry level jobs are easy to come by since a high level of educational attainment is not necessarily needed. Specialized trainings and the ability to perform the assigned duties will be the basis for qualification. More often than not, these training are conducted after a certain applicant is hired so these kinds of job are certainly a big help lessening the unemployment rate. This is also why these general jobs are famous for being part time work. A lot of people receive flexible hours while getting the equivalent salary. 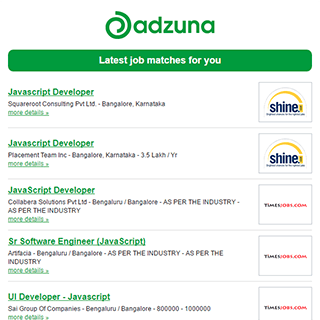 Get the latest Other/General Jobs in India delivered straight to your inbox!